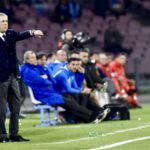 The Italian coach will debut on Saturday with Napoli against Lazio in what will be his fourteenth season at Calcio. Ten seasons later Ancelotti returns home. He returns to Italy, to Serie A, a competition he knows perfectly. 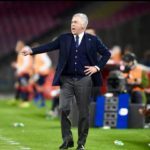 Carlo has managed 437 games (246 wins) in 13 seasons in the Calcio. The 2003-04 season stands out above the rest, that year he was proclaimed champion with AC Milan. It was not his only title in Italy, he also has in his list of winners an Italian Cup and an Italian Super Cup. After managing a few big European teams (Real Madrid, Bayern, Chelsea and PSG) and winning titles in all the countries he has gone through. Carlo has decided that it was the right time to return to his country. And what a better way to do it than with the attractive proposal of Naples. The Italian coach, as a matter of fact, will debut in Serie A against Lazio this Saturday (20.30h CEST). 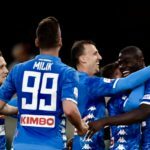 A challenge as beautiful as exciting that has awakened again the interest among the Neapolitan tifosi. His signing has recharged the spirit and has enthused the insatiable supporters of San Paolo. 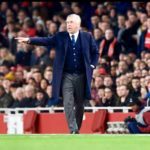 Some media and journalists have not hesitated to point out that the arrival of Ancelotti has had an impact similar to what happened with Cristiano and Juventus. The Neapolitans has it clear. 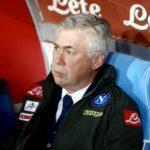 Ancelotti is the ideal man to return Napoli to the top. A coach who knows the Serie A and is capable of winning titles with all the teams he trains.